Attention Class of 2021! Show your Commitment to graduate with your class! 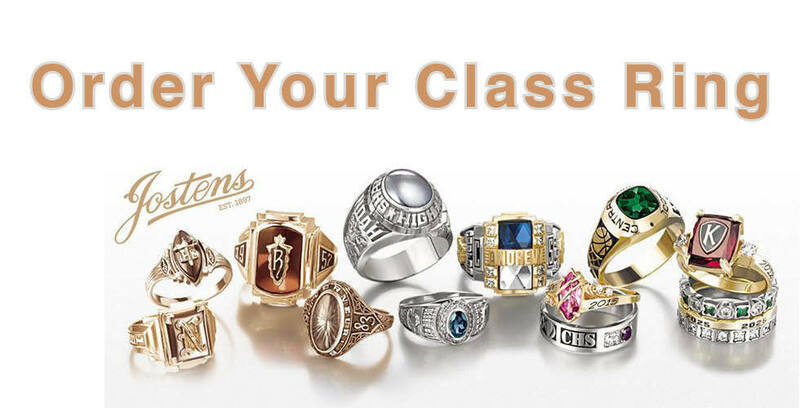 Order you Class Ring on Tuesday, February 5, 2019, during lunch in the cafeteria. To tell your story and design your ring, go to www.jostens.com. Print your order form and bring it with your $100 or $60 down payment. The $100 down payment includes a $60 deposit on your ring and the $40 Spirit Pack. The $60 down payment is a deposit on your ring only. Again, order your ring on Tuesday, February 5.